I had an interesting conversation today about whether to issue a certificate to an elearning user for completing a non-accredited course. It seems simple enough – put the effort in and you get an acknowledgement of your performance. However, does the certificate actually have any value? I recognise that an individual wants recognition for the effort and the small leap of joy for the win in completion an activity may inspire the individual to learn more. 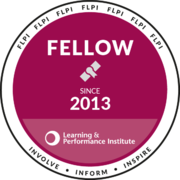 However, isn’t it more valuable to be recognised for putting the learning into practice, rather than having just completed the process of learning? Is a certificate for completing a module nothing more than a merit badge? My fear is that by offering a certificate we retain paternalistic command and control thinking over people’s learning activity. Test, check understanding, challenge knowledge acquisition. If the individual has to put effort to ‘pass’, then a certificate is a reasonable reward. Include key learning points on the certificate so it can act as a reminder of the elearning, rather than just a congratulatory pat on the back. Make sure that you keep the learner engaged with a supplementary activity after the training. It could be a blog post, forum discussion, hosted chat participation, learning related activity etc. Once you have a measurable outcome you can then add the praising document. Best chance of embedding learning after the event is to make sure the manager is involved in the learning process. By sending the certificate to the manager with an appropriate covering email it can become a tool to aid the employee’s ongoing learning discussion. Creating an over-designed certificate with scrolls and fancy gold lettering as a copy of something more formal is an unnecessary waste of your time. Keep it light with an appropriate logo that is consistent across all your courses. Make sure the course title is there, along with the date and the learning points mentioned above. It’ll still be appreciated but can’t be confused with something more ‘official’. 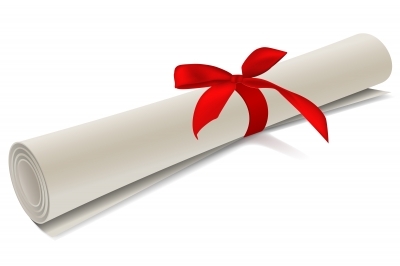 So are certificates worthwhile? On their own they have little value. Embed their production into the design of your learning and you may just create a cool way to take your evaluation forward.